Drifting Cinema is an event based experimental film exploring the possibility of the cinema space as well as the potential of framing. 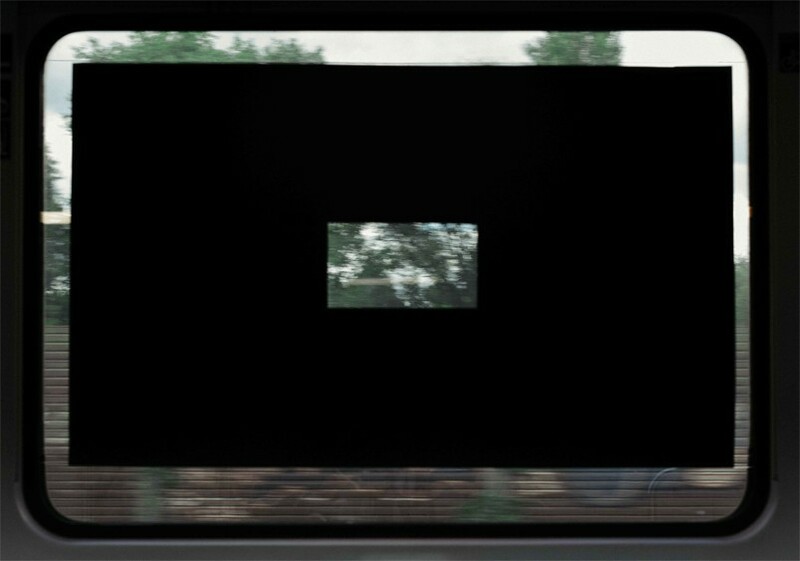 A diminished 16:9 rectangle, which referring to the aspect ratio of traditional cinema, was cut in a piece of black paper and stick on the window of the train from Lüneburg to Hamburg. The moving image that synchronised with 60's Cantonese and English popular music. By breaking down the representation space of the darkroom, moving image from everyday-life become captured and presented as film. The setting of the work attempt to invite spectators to question what film is; also inviting them to appreciate, re-discovery everyday-life image from another perspective. Film can be happen everywhere once we apply the same attitude in film appreciation on observing daily life.